Among the properties presented are Ashland, an Italian-inspired villa built for distinguished statesman and orator Henry Clay; Pope Villa, one of only two extant residences by Benjamin Latrobe, the architect of the U.S. Capitol; Waveland, a completely intact Greek Revival estate from the 1830s; and Pleasant Hill, the largest restored Shaker community in the country. Dramatic aerial photographs celebrate the rolling landscape and expansive horse farms, including Gainesway Farm, a 1,500 acre site that has produced an impressive roster of legendary Throughbreds. Kentucky is a multifaceted and compelling portrait of a unique part of our country that combines a reverence for history and Southern traditions of hospitality and generosity with a vital present. "Kentucky may be renowned for its thundering Derby horse race and powerful mint juleps, but the state's architectural legacy and pastoral heritage rarely get their due on the national stage. 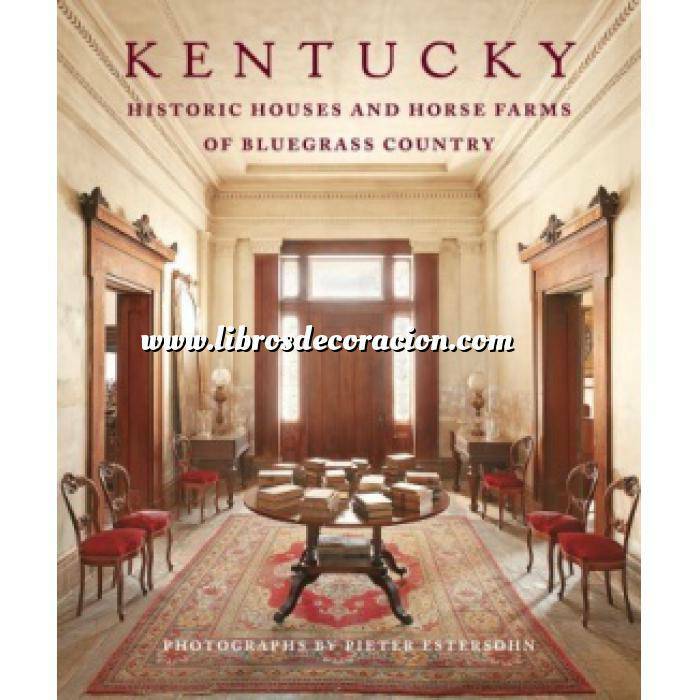 Kentucky: Historic Houses and Horse Farms of Bluegrass Country is a highly personal collection of what Estersohn calls 'wonderful secret places, some meticulous and others rough around the edges.' With verdant countryside as a frequent backdrop, 18 compelling properties take a bow, from racing doyenne Marylou Whitney's homey Maple Hill mansion to Lexington's hauntingly empty Pope Villa, an 1811 masterpiece by U.S. Capitol architect Benjamin Latrobe that is so off the radar 'people a block away don't even know it exists.